On a map of trails that the City of Durango most recently has slated for closure in the final draft of the Natural Surface Trails Analysis Report, at least two are worth asking them to save. A freerider hitting a jump on the Dalla Mountain Freeride Trail. Don’t let the City of Durango destroy this trail! Those include the Kitty Charmer Trail on Raiders Ridge by Horse Gulch, and the Phoenix Trail, aka the Dalla Mountain Freeride Trail. They’re both ridden primarily by mountain bikers, and they both are extremely popular for their naturally rocky terrain, drops and jumps. Your signature is needed to voice opposition to these proposed trail closures and the loaded terminology used in the City’s draft Report, which uses subjective terms such as “damaged resources,” “habitat fragmentation,” “resource degradation,” and “soil erosion,” to name a few that have not been tested and have no scientific basis. Once you submit your signature, the signatures get compiled, and then they all get delivered at once on April 30, 2015, the last day that the City is taking public comments on the new draft Report. Check your email inbox after you sign the petition to click on the verification email. If the verification email does not show up in your inbox, check your spam folder just in case it got misclassified. Two popular trails on City of Durango lands that are used primarily by mountain bikers need to be saved from their demise that's been mapped out in a final draft of the City's Natural Surface Trails Analysis Report. Kitty Charmer--a new freeride-oriented progressive pirate trail with gap jumps, berms, drops and technical riding along the southwestern end of Raider Ridge--is one trail that the City must not take away from us. 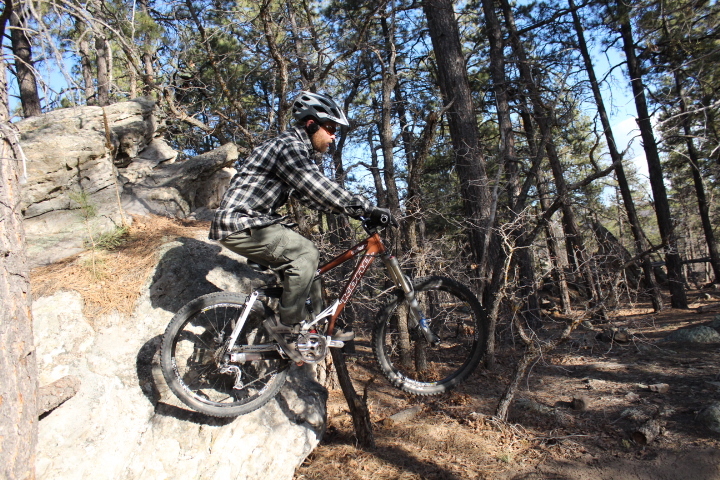 Dalla Mountain Freeride Trail, aka the Phoenix trail, is well known for its natural rock outcroppings that bikers enjoy riding their bikes over and off of. It's also slated for closure. Please vote to delete the language and color coding of maps in this Report that recommends mountain bike trail destruction. Please share this petition with your friends and family.